At the SympathyGarden.com we know how challenging it can be to find an appropriate sympathy gift for someone who is grieving the loss of a loved one. You want to express your compassion in a meaningful and lasting way, but finding the right words and sympathy gift can be so difficult. Reflecting on our 35 years of experience in the sympathy floral business, we have thoughtfully assembled a unique collection of meaningful gifts guaranteed to bring comfort and solace to the broken hearted long after the services are over. Plush Angel Teddy Bear 10"
• Each SympathyGarden.com order will receive a personalized message card absolutely free. 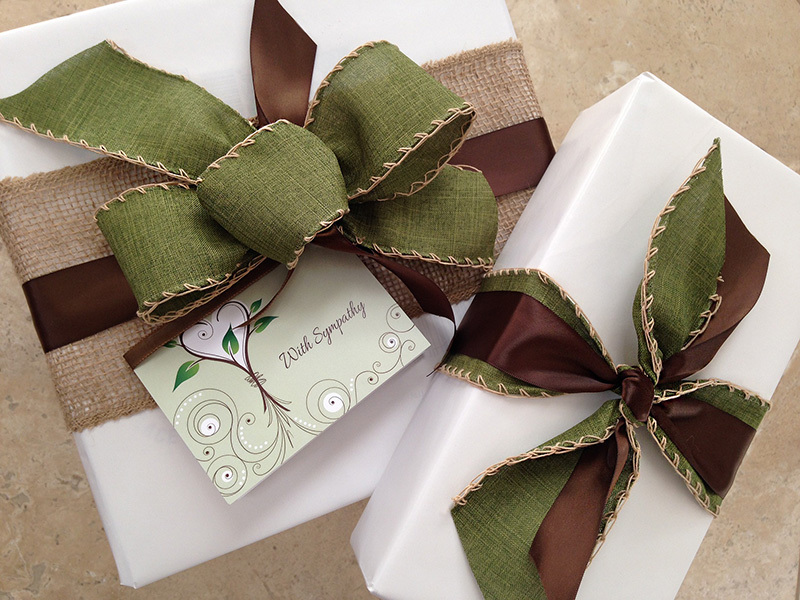 • Make your gift even more special by selecting our custom gift wrapping option (available on most products).